Oakville Criminal Charge? Let Frank Genesee Help You! Being charged with a criminal offence can have very serious consequences. It can cost you your job, prevent you from leaving the country and can even land you in prison. There are so many consequences to a criminal conviction, that you need to be sure to always protect your legal rights with the help of an experienced professional. The judicial system is complex and is not designed for the average person to navigate through it without assistance. You need help and guidance that can only be provided by a knowledgeable lawyer who is well verse in the law and the system. Criminal lawyer, Frank Genesse truly cares about his clients. He wants to ensure that you are heard, respected and effectively represented in your case. Frank is passionate about protecting people’s rights. He is diligent in ensuring he is well prepared with the “real story” of your case is presented to the prosecuting attorneys and the Court. He conducts thorough and creative initial interviews in order to discover the best legal defence for your situation. Member of both the Hamilton and the Ontario Criminal Lawyers Associations, Frank is also a founding member of the Ontario Trial Lawyers Association. He is known and respected throughout Hamilton and the Niagara Peninsula area, where he has been representing local residents since 1974. 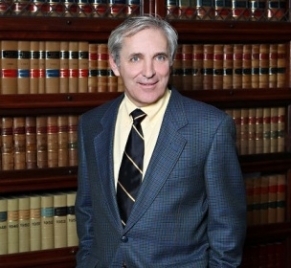 Currently Frank works along side a strong team of three criminal defense lawyers. They believe in taking a team approach to their cases to ensure that no stone is left unturned when defending you. If you have been charged with a criminal offense, you need legal assistance. There is too much at stake and one wrong decision could cost you dearly. Trust someone who is passionate about his clients and about his job. Let Frank work with you and prepare a defence that will work best for your case.